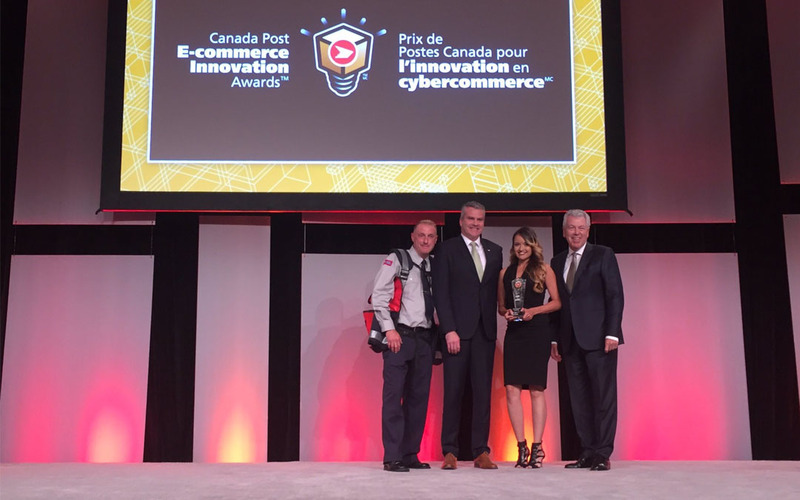 On September 20th, 2017, The Packaging Company was named Most Disruptive Start-Up at the prestigious 2017 Canada Post E-commerce Innovation Awards. Now in its sixth year, the Canada Post Awards recognize innovation and industry leadership in e-commerce offerings. The distinction of most disruptive start-up is given to a newly-created e-commerce operation that disrupts and changes the way their own industry does business. Fellow finalists included Aura Home Security, Invictus Gloves, SuckGate WaveSurf and Tom & Sawyer—each demonstrating brilliant, innovative solutions in their own chosen endeavours. 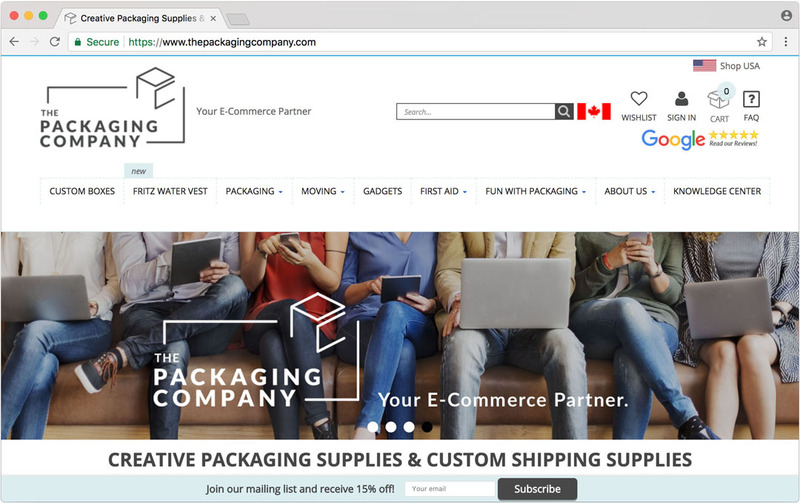 Launched in 2016, The Packaging Company is an online packaging retailer whose easy-to-use site allows customers to complete their purchasing journey without the need to interact with a wholesale representative. In an industry dominated by minimum quantities and tiered price breaks, enabling businesses of any size to affordably customize and satisfy their packaging needs is truly disruptive. “Although we are a newly launched company, we have deep knowledge of the challenges that retailers face with the packaging process, and we are grateful for being recognized by Canada Post and the Canada Post Awards for our innovative approach to custom packaging,” says Olivia Pietersen, E-Commerce Business Manager. The Packaging Company believes that truly customized packaging solutions shouldn’t be solely reserved for large-scale retailers who have the resources necessary to be cost-effective. Whether a business handles 10 orders a month or 1000, by shopping with The Packaging Company they’ll have access to a wide selection of products, in the sizes and quantities they actually need, without having to order in bulk or maintain large stockrooms. The intuitive storefront, dedicated customer service team, and growing selection of custom packaging options makes The Packaging Company uniquely suited to servicing the growing need for packaging in the e-commerce world. As part of the team bringing The Packaging Company to life, Olivia was instrumental in ensuring the start-up’s goal of affordable and accessible short-run and custom packaging was fully-realized. Honing her strong understanding of marketing while studying at Sheridan College, Olivia secured a place at the Ontario Colleges Marketing Competition (OCMC). Earning a bronze placing for individual performance, she also contributed to her team’s competition-winning gold placement. Furthering her education on marketing and brand management at the University of Guelph-Humber, Olivia worked in the head offices of a major nationwide retailer before joining TPC. 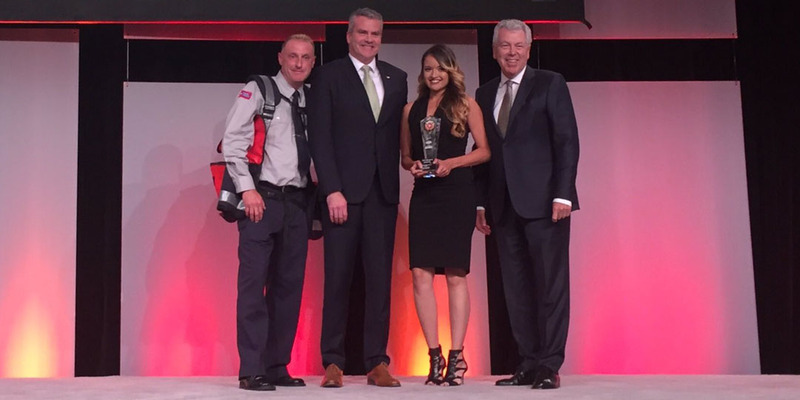 The Packaging Company thanks Canada Post and the Canada Post Awards for bestowing them with such a prestigious and notable honour, and congratulates its team of dedicated, talented and passionate people. When it comes to satisfying your custom packaging needs, The Packaging Company truly is your e-commerce partner.